Surrounded by a small group of family and friends, Gov. 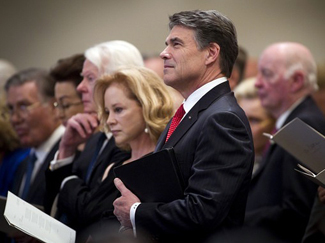 Rick Perry was publicly re-baptized in Little Rocky Creek near Independence, Texas, the same place Sam Houston, the first president of the Republic of Texas, was also immersed. The prolonged Texas drought left the creek choked with algae, so the local volunteer fire department had to clear a decent place for the governor’s baptism, according to The Texas Tribune. Mac Richard, pastor of Lake Hills Church in Austin, conducted the baptism in March, the governor’s office reported. Perry visited nearby Independence Baptist Church after the baptism, played the organ and soaked up the colorful local history. Since 1839, Little Rocky Creek has served as the natural baptistery for the church, which is the oldest continuously operating Baptist church in Texas, according to The Tribune. Hassell showed the governor around the tiny historic church where he was able to see the actual pew where Sam Houston had carved his initials and those of his wife nearly 158 years ago. “Gov. Perry has a deep and abiding faith in God. Like many people of faith, the governor wished to reaffirm his commitment in a way that holds great personal meaning,” said Felix Browne, a spokesperson for the governor. Houston served as governor of Tennessee in the late 1820s and then became the first elected president of the Republic of Texas in 1836, after helping lead settlers to victory in their war of independence from Mexico. Houston was christened in the Catholic Church, a necessity in order to own land when it was Mexican territory. Later, his wife, Margaret Lea Houston, prayed for him to become a Baptist and God granted her wish after 14 years of persistent prayer. When Texas became a State, Houston represented it in the U.S. Senate and later became its governor. When you look at the comments that Los Angeles Clippers owner Donald Sterling made concerning his team and minorities, I think that you have to look at them as more than a racist comment. Mr. Sterling in one voice recording managed to insult, demean, and marginalize three groups of people. One group of people he disrespected where the players on the team. Not just the ones that are currently on the team, but any future players, Black or non-Black. When Mr. Sterling states that he gives them food and money for cars, he is negating the fact that these players were not given anything, but earn it on the basketball court. They earned it from the long hours of practice and sacrifice to develop themselves into top level athletes who can easily do what most of us, including Mr. Sterling, can only dream that we can do. 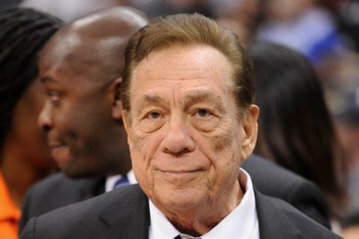 Maybe we should look at how much money the U.S. government gave Mr. Sterling in the form of tax abatements and write-offs that allow him to have a net worth of over $10 billion. The Bible says that a man’s gift will make room for him. These athletes have worked hard so that their gifts can get them into the NBA and earn commercial endorsements. 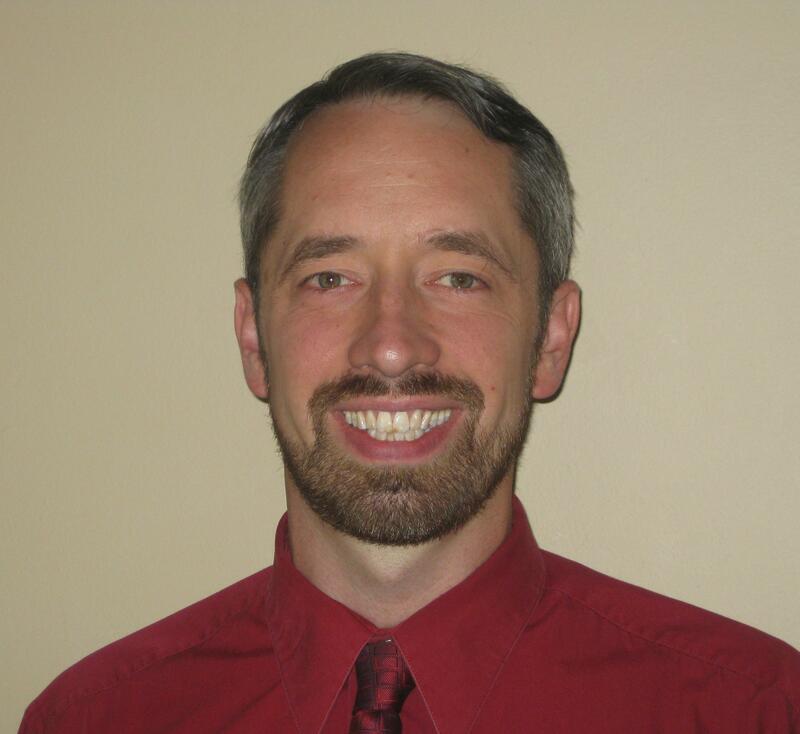 Dave Jenkins is an ordained minister and leadership and relationship teacher. Jenkins, a former chaplain for the Allen (Texas) Police Department, is a graduate of Grambling State University in Grambling, La., and earned a master’s of Christian leadership from Criswell College in Dallas. He also received advanced counseling training from Amberton University. Jenkins and his wife, Phyllis, are hosts of their own weekly family relationships show, “Marriage Monday,” on KGGR 1040 at 5 p.m. CST. Follow him on Twitter at @IamDaveJenkins and “like” him on Facebook (IamDaveJenkinsJr). Learn more about his ministry at www.davejenkinsjr.com. In Tulsa, Okla., and Houston: Student Leadership University will hold its annual Youth Pastor Summit in Tulsa on April 7 and in Houston on April 8. Registration is free. Visit http://www.slulead.com/ to register. In Dallas: Paul Quinn College and the 10th District of the African Methodist Episcopal (AME) Church will partner together to play host to a job fair on Wednesday, April 16 from 10 a.m. to 2 p.m. on the campus of the college, 3837 Simpson Stuart Road. There is no cost to either employers or future employees. Contact Kelsel Thompson at kthompson@pqc.edu for more additional information. In Baton Rouge, La. : More than 500 faith leaders from across Louisiana will descend on the state Capitol Building on April 1 for a Faith Day at the Capitol rally to demand Governor Bobby Jindal and state legislative leaders to provide leadership to secure passage of legislation that will curb the high mass incarceration rates in the state. Louisiana has the highest incarceration rate in the world. The rally is slated to run from 9:30 to 11:30 a.m.; a press conference will follow. Visit www.piconetwork.org. In Dallas: Save April 15 at 11:30 a.m. on the calendar! Hope Mansion, a nonprofit organization in Cedar Hill that helps women ages 18-35 who experience crisis pregnancies, has planned its Extraordinary HOPE women’s luncheon with guest speaker Tracey Mitchell (author of Downside Up). The conference to will take place at The Tower Club in Thanksgiving Tower, 1601 Elm St. in Dallas. Tickets are $30 per person; $240 for table of eight. Contact Jennifer Wulff, luncheon chair, at info@hopemansion.org. In Shreveport, La. : Centenary College of Louisiana’s World House for Environmental Sustainability, in cooperation with community partner Shreveport Green, will host Chad Pregracke, CNN Hero of the Year for 2013, Thursday, April 3. The Living Lands and Waters founder and president will deliver a convocation at 11:10 a.m. and a workshop-styled lecture at 4 p.m. in Kilpatrick Auditorium. Both events are free and open to the public. Visit www.centenary.edu. In Katy, Texas: The Katy Christian Women’s Connection will hold a fashion show luncheon on Thursday, April 17 from 11 a.m. to 1 p.m. at The Golf Club at Cinco Ranch, 23030 Cinco Ranch Blvd. Cost is $18 per person. Take a sneak peek at the latest fashions from La Centerra’s. 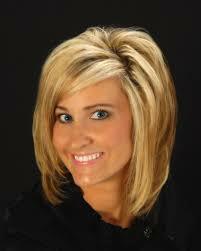 The guest speaker is Oklahoma native Deborah Cerkovnik. Deadline for reservations is noon on Monday, April 14. Email katyCWC@gmail.com for more information. Christian nonprofit and events roundups are run weekly. To get your event listed, contact Jacob Trimmer at pewnews@aol.com. After the pope challenged youth to “make some noise” at World Youth Day in July, Catholic Extension asked young people to answer his call by dedicating a day to prayer, service or philanthropy – an “Extension Day.” They then encouraged young people to document their Extension Day on video. More than 70 videos were received involving thousands of youth from 47 dioceses across the U.S. Top videos were determined by social media support and a panel of judges, including Father Dave Dwyer, director of Busted Halo; Rev. Father Mark Mary, co-host of EWTN-TV’s popular Life on the Rock program; and actor Chris O’Donnell. This week Cardinal Francis George, chancellor of Catholic Extension, is presenting a selection of the videos in a special report to Pope Francis. Finalists will be chosen and announced later this month. In addition to the chance to have their videos viewed by Pope Francis, recipients will be eligible for grants to benefit their ministry. Based on the response, Catholic Extension hopes to make Extension Day an annual event. Catholic Extension, which is a national organization that supports people, ministries and churches across America, has a special relationship with young Catholics, providing more than $3 million annually in support of programs that engage youth and nurture future Church leaders. To watch Extension Day videos and learn more about Catholic Extension, visit http://www.extensionday.org. BELLFLOWER, Calif. (ANS)– Evangelist Will Graham, the grandson of Billy Graham, has said that at the age of 95, Mr. Graham is close to going home to be with the Lord. In an exclusive interview at Hosanna Christian Fellowship, Bellflower, Calif., before he was to preach Dec. 11 at a special Christian event, he spoke movingly about Billy Graham’s frail condition. “I saw my grandfather last week and he is not doing well,” said Will, the son of Franklin Graham. “He’s not suffering or anything. It’s just that old age has caught up to him and is sucking the life out of him. “On Nov. 7 [with his My Hope America with Billy Graham* outreach], he finished his race and up until that time, God had protected his health and gave him supernatural strength and now, the only thing left is for him to come home. God has removed his hand of protection and old age has set in. When I asked him what happened during his last meeting with his much-loved grandfather at his Montreat, N.C., home, he revealed that they didn’t talk very much. What would he like people to know about Billy Graham, the world’s most well-known evangelist, with whom I have had the privilege of working with on several occasions in Russia, Germany and Puerto Rico? He replied, “My grandfather is the most humble man I have met. Some people often say, ‘How come Billy Graham never got caught up in money or with woman, like so many others?’ That was because God was protecting him from all that stuff because of his humility. The Bible says that ‘God gives grace to the humble,’ so because my grandfather was humble, God protected supernaturally from all that stuff and gave him grace. 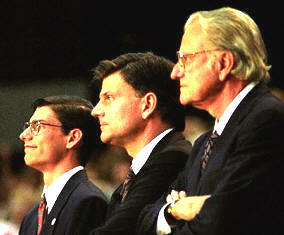 It was not because of anything that Billy Graham had done, but because of his humility before the Lord. Will Graham, the third generation of evangelists in the Graham family, later spoke at this special Christmas event at Hosanna Christian Fellowship (http://www.hosannachapel.org) and was joined by his old friend, Dennis Agajanian. Will had stepped in for Pastor Chuck Smith, who had been invited to speak by senior pastor, Garry Ansdell, but when “Pastor Chuck” passed away on October 3, 2013, Will agreed to take his place. *My Hope America with Billy Graham was a nationwide effort to reach people across the United States with the Gospel of Jesus Christ. Following a simple biblical model, it combined the impact of video programs (http://myhopewithbillygraham.org/programs/?) with the power of personal relationships. It was possibly the largest media event Billy Graham has ever been involved in. The food is on the table, everyone is seated, and it’s time to eat…but first we bow heads and close eyes to thank God for providing another meal. My kids will occasionally open their eyes or peak through fingers during this offering of appreciation. After the “amen,” my son will announce, in an accusing tone, that his sibling(s) opened their eyes during the prayer, thus immediately indicting himself. In a Sept. 19 article published on Thinking Faith, Pope Francis said that the church shouldn’t be “obsessed” with preaching about abortion, homosexuality, and contraception. While church leaders have set their collective sights on particular social issues, at times to the detriment of preaching the Gospel, doesn’t the media’s highlighting of this one statement taken from an immense interview covering countless subjects, amount to crying, “They opened their eyes during the prayer!” Church leadership is guilty in that our only obsession as believers ought to be Christ, the author and perfecter of our faith upon whom the Bible commands we fix our eyes (Hebrews 12:2), and sharing His beautiful declaration – a Gospel of grace. The church’s failure to do so properly has left generations without a proper understanding of what Christ did and promised to do for us. Still, who started this fire? Often the church is reacting instead of leading, but (while at risk of sounding defensive) can you blame church leadership for reacting to the obsession of culture with these same issues? Each of the issues Pope Francis mentions has been argued before the Supreme Court, is backed financially by our government (to the point of even lobbying for these “rights” overseas), and receives millions of dollars in promotion from the television & movie entertainment industry plus the news media. Yes, those who oversee the church should be as concerned about murder, heterosexual immorality, and materialism (sins that likewise share in the windfall of lavish media promotion). Yet, it is reported that our country is one of only four nations in the world to legalize abortions after viability and threatens to withdraw funding from states or countries unless they remove restrictions on those who perform abortions. So, who is more obsessive about the subject – those for it or those against it? A pastor is a shepherd. The Word is clear that shepherds are supposed to feed and protect the flock. Too often our pulpits have spent so much time in protection mode that the sheep have forgotten what the bread of life & living water taste like. That said, to only feed the sheep and not warn them when the world sends more and more wolves, lions, and bears to devour the truth about sin, its consequences, and impending judgment, is, in fact, to close our eyes when we were charged with being watchmen. I agree with Pope Francis that balance is needed. It’s just that the world’s view of balance welcomes changing what we believe and silencing our voices. supersede natural or earthly abilities and that surpass human comprehension. While this statement may interfere with the theology of many people, the few who actually get this — and who search the scriptures and study the Word diligently — will find themselves discovering a whole other world coming alive to them. They’ll begin to perceive things that they couldn’t perceive or sense before; they’ll begin to see themselves as who God, our Father, created them to be — supernatural beings clad in natural (or earthly) bodies. Their way of thinking becomes transfigured — revolutionized. And there’s an uncanny boldness (see Ephesians 3:12; Acts 4:13) that comes upon them. It is with this new-found level of understanding of our relationship with our God — our Daddy — that revelation knowledge takes up residence within our inward man. And with this information, we learn how to flow in this earth as our Daddy commands. Now, let’s get back to this third verse in Hebrews 11. What’s key here is that we see in scripture that “the worlds” were “framed” by the Word of God. Everything we see and can’t see, everything both in this visible world and the invisible world, the things we can understand and the things we cannot: Everything was created by God’s Word. In the natural (realm), if we want to build a house, we’ve got get lumber from somewhere, right? We’ve got to pay a contractor — things like that. This is an example of us framing our world by our words with things that do appear. In order for us to build a house, the lumber we need is already here; it’s tangible; we can see it; it exists. So does the contractor. But all of these things were created by God from nothing. He spoke them and they appeared. The Holy Spirit reminds us that God created us to be just like Him (Genesis 1:26). He loves us. He has adopted us as His children through the works of Jesus. Since we have crowned Him as Lord and Savior of our lives, we now operate in His splendor. Turn to John 1:1-14. Read the first 14 verses (King James Version), but start off by emphasizing the first three: In the beginning was the Word, and the Word was with God, and the Word was God. The same was in the beginning with God. All things were made by Him; and without Him was not anything made that was made. The same three verses in the Amplified Bible say: In the beginning [before all time] was the Word (Christ), and the Word was with God, and the Word was God Himself. He was present originally with God. All things were made and came into existence through Him; and without Him was not even one thing made that has come into being. Jesus is the Word. Jesus was the Word of God made flesh. In other Words, the Word of God dwelt among the people here in the earth, in the person of Jesus Christ, the Messiah, the sent One of God. We see the will of God through the example of His Word, Jesus the Christ. We’ve accepted Christ as our Lord and Savior. Our mandate now, the charge that the Christ, the Word of God, has given us is to allow Him, the Word of God, to be expressed through us. We are made up of flesh and blood, right? When Christ was here, He came in the “flesh.” He had a fleshly body, an earthly, mortal body. Yet people were able to read the Word of God and know the will of God through the example that He laid out before us with His walk. Thus, He was the Word of God, the will of God, made flesh. We now must be the Word of God made flesh, just as Christ was the Word who dwelt in the earth in the flesh. Don’t cringe. The Spirit is saying that the Word of God abides in us. Therefore, we must be living examples here in the earth for others to see. The thing is not for them to see us and try to live like us, but to see Christ in us and begin to live their lives in and for Him. 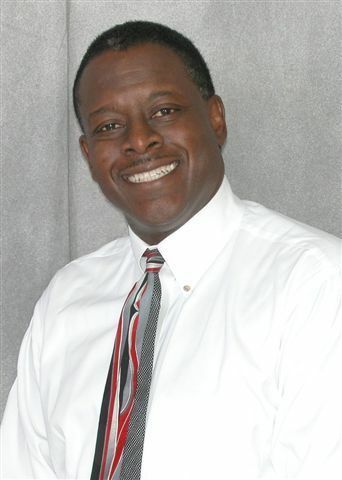 Donald Lee is founder-pastor of Kingdom Living Christian Center in Dallas. To hear his sermons live, call (218) 862-4590 (conference code: 279498#) at 10 a.m. (CST) Sundays and 7 p.m. Thursdays. KLCC has plans for a “Cowboy Church” ministry. Plans for this ministry, coming soon, call for it to be held once a month at a location to be announced. 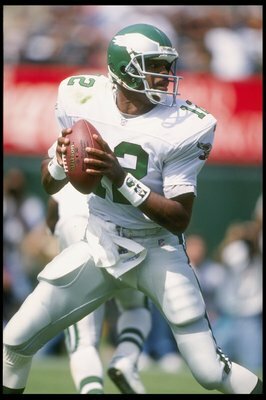 For 14 seasons, Randall Cunningham was the versatile NFL quarterback whom teams depended on to make miracles happen on the gridiron. Fittingly, Cunningham uses football-related phrases to frame his story. Nice touch. For further study of the chapter, the book includes reflection questions and epigraphs from the Bible, C.S. Lewis, Tim Tebow, Tony Dungy, Tony Dorsett, Martin Luther King Jr., and Nelson Mandela. Mentorship takes on a circular meaning in “Lay It Down.” Cunningham said mentors have been “divinely planted” in his life. Cunningham credits Troy Johnson and Robert Johnson for introducing him and his wife, Felicity, into discipleship. In the book, he also mentions how he is mentored by the nearly 12,000 members of his Las Vegas, Nev., church – Remnant Ministries. As an NFL player, Cunningham considered the late Reggie White as his mentor, among others. Near the end of chapter 4, he speaks highly of hall of fame defensive end. But, before the “minister” began to connect with him, Tom Cameron introduced him how to stand with God and become a born-again believer. The prose here was engaging. “It was Reggie White who got in my face and told me you better straighten your life up,” he said. Just as some of the same ways teachers and pastors mentored to him, Cunningham serves the same role to teens who participate in the high school track and field and club track and field teams he coaches. As a coach, he said is able to mentor to athletes, especially those who are fatherless. The book can fit into the classifications of a biography and inspirational non-fiction (well-organized story telling in several chapters). Cunningham’s message is clear as the reader closes its covers: set goals, stay focused, and never hesitate to rest on others for support. These attributes have taken Cunningham pretty far. 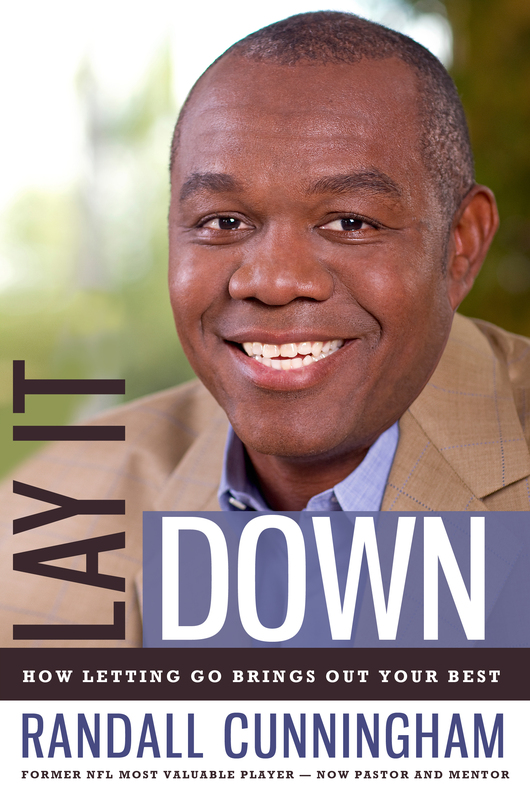 “Lay It Down: How Letting Go Brings Out Your Best” is available at Amazon and Borders. To learn more about Remnant Ministries, visit http://www.remnantministries.net/. Back in 1985, Randall Cunningham was a quarterback from the University of Nevada at Las Vegas with hopes of becoming a professional football player in the NFL. During the NFL Draft, he had to wait until the second round for his dream to come to pass, when the Philadelphia Eagles took Cunningham with the 37th pick, the first quarterback selected in the second round. Cunningham said he got impatient when he wasn’t chosen in the first round. He said he went to the store. He said when he got home, Cunningham recalled he had a message from the Philadelphia Eagles that the team had chosen him. His first year, he was back-up to the aging veteran, Ron Jaworski. During rookie season, the Santa Barbara, Calif., native completed 34 percent of his passes, with one touchdown and eight interceptions. With the 2013 NFL Draft set to start April 25, Cunningham said it is essential for NFL hopefuls to keep the faith and to be patient. Unlike last year’s draft where Robert Griffith III and Andrew Luck were the known to be the top two draft picks, there is speculation about this year’s top picks at quarterback. According to The Sporting News, quarterback Geno Smith (West Virginia) could go first and while The Orlando Sentinel suggests quarterback EJ Manuel (Florida State) could go high in the second round. Three-day coverage of the 2013 NFL Draft, held in New York City, will be broadcast live on ESPN and the NFL Network beginning at 7 p.m. CST. 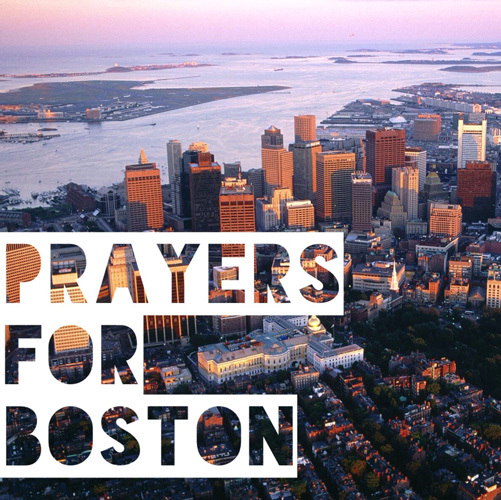 The horrifying bombing in Boston on April 15 brings to our minds the tragedy of September 11. None of us have forgotten that day. Nor have those who lost their loved one s and friends. These hideous acts are designed to strike fear in our hearts and cripple our strength. God has called us to be his people of strength and courage. Our lives are in his hands. When these situations fill us with fear, let’s remember that God is by our side—we have nothing to be afraid of. Let this thought empower us to walk boldly and encourage our families, neighbors, and friends. Read through the Scriptures, sing songs of God’s power and deliverance. Praise him for his might and mercy. Let us be the pillars that people lean on during these, and other, fear-filled times.